Share our page to get our likes up to 1000. I will have three gifts to draw for when it happens. Squeeeee! We're giving away a bag of Only Natural Pet dog food to a lucky winner EACH week! To get in on this, drop a comment on Only Natural Pet's FB post to tell us why you'd love to win some all natural dog food. We'll immediately shoot you a message with details on how to enter this contest (Takes about 1 minute). We'll announce a new winner every Monday, so don't wait - comment on Only Natural Pet's FB post and enter now! Note: This is open to all! There's no need to purchase or like our page. Also, this giveaway is not endorsed, run or sponsored by Facebook in any way. 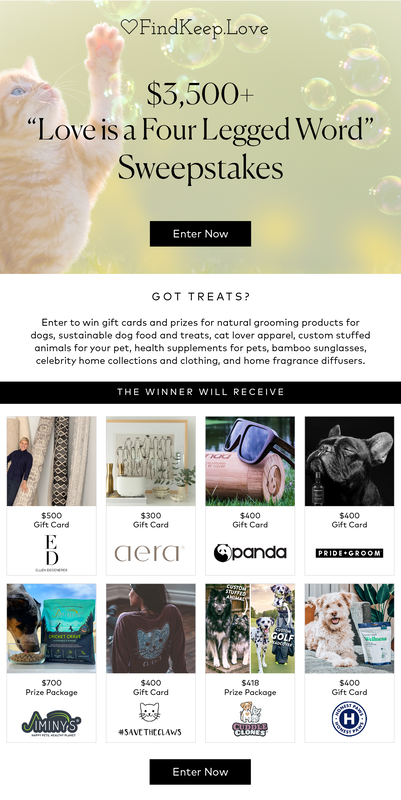 Shop to save kittens and puppies! A portion of proceeds will go to Kitten Rescue Los Angeles and Best Friends Animal Society. We'll be auctioning off 1 rattie themed basket, 1 guinea pig themed basket, 1 XL guinea pig, & various other items to raise additional funds for the rescue. Bidding for each item will begin at $1, each following bid will be made in whole dollar amounts. Bids will be made in the comments section under the photo of the specific item. At the end of the auction the winning bidders will be notified & given the choice to pick up their winnings at our next open house April 28th or shipped for an additional cost TBD. Bidding will begin this friday around noon and end April 19th. Winners will be notified starting the 22nd. Shipping costs will be determined by the USPS , based on total weight of package. Multiple winnings by same individual will be packaged together to save $$. Too many bunnies are bought for Easter gifts and a year or two later surrendered because children are no longer interested in their pets, or they are not fitting into their new family’s’ lifestyle. Instead of buying a live bunny for a gift this year, consider a gift that requires no feeding, poop scooping, or expensive supplies. Give the gift of a Boo Boo Bunny! Your loved ones can play with this cute fellow as long as they want and when they are done – toss it in the bathtub. Or, our favorite way to use these, is to put an ice cube in the middle and use it as a comforting friend and soother when a loved one gets hurt. If you are interested in supporting live rescue rabbits with a purchase of a pre-made boo-boo bunny, please email us! We have several pre-made boo-boo bunnies available for a $10 suggested donation. …That’s a famous line from the Passover holiday, celebrated this month. We love it because, especially in this day and age, it reminds us that everyone out there (no matter where they have come from) deserves a place at the table. If you agree, please use the discount code MAKINGUSGREAT to take 15% off all the Rescue Chocolate in your shopping cart, now through April 30. ​*Put a rescue's code in the notes section at checkout and a portion of your purchase will be donated to that rescue! For my birthday this year, I'm asking for donations to Critter Camp Exotic Pet Sanctuary. Beth and her volunteers do an amazing job caring for the animals other pet sanctuarys do not take in. Please consider donating to this amazing program. I've chosen this nonprofit because their mission means a lot to me, and I hope you'll consider contributing as a way to celebrate with me. Every little bit will help me reach my goal. I've included information about Critter Camp Exotic Pet Sanctuary below. Care for unadoptable exotic pets and provide education to prospective pet owners, current owners and the general public. Provide the very best home with carefresh bedding for your small pet. Print a $5 coupon and SAVE today! $800 and a Visa Gift Card for $500! We will be choosing one a winner a week starting the week of April 1. Every Wednesday from April 3 - May 22 one lucky winner will receive a $25 Visa Gift Card! That's right, we want your movies! Each entry must have at least one Marshall Ferret, one person and at least 3 Marshall products featured in the movie (toys, treats, litter, homes, etc.). Each entry should not exceed 30 seconds in length and professionally shot movies will not be accepted as entries. You can enter more than once. Marshall Pet Products will retain all usage rights for our promotions and marketing. April 1-June 30: Shop on Amazon and Marty will help ! Click on one of the links on the side, and everything you buy during that session of shopping at Amazon will kick back a small percent to Marty's Minions – and Marty's Minions will donate it to different rat rescues in honor of Marty. Making a difference in the rat community by buying stuff you want or need anyway! A new rescue will be selected quarterly and results posted on Marty's page. Join the rat community and help rat rescues every time you click through this link and buy on Amazon! But it only works if you click BEFORE you start adding things to your cart. Thanks for your help! In the USA you can use this link and make it a bookmark, then you don’t have to click every time. In the CANADA you can use this link and make it a bookmark, then you don’t have to click every time. In the UK you can use this link and make it a bookmark, then you don’t have to click every time.